A cleansing diet works in two ways. Firstly, you stop putting in more toxins and, secondly, toxins currently in the body are flushed out (mainly by drinking more water). Meanwhile, by eating more fresh vegetables and some fruit, you are getting vital antioxidants to mop up the free radicals caused by smoking, alcohol, coffee and cheap vegetable oils found in pastries, mince pies, etc. These supplements will help the process. A Vogel Dandelion is used as a remedy for liver complaints, infections, swelling, gallbladder, problems and viruses. 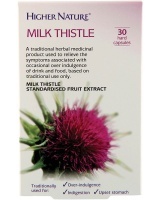 A. Vogel Milk Thistle Complex health supplement designed to strengthen, cleanse & protect the liver. A.Vogel Solidago Complex is a natural health supplement designed to aid fluid retention, act as a detox and kidney tonic. 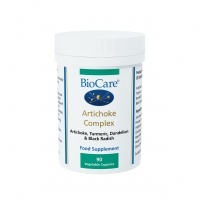 BioCare Artichoke Complex health supplement combines potent plant extracts work synergistically to help support normal function of the liver & gallbladder. A potent source of freeze-dried Beetroot. 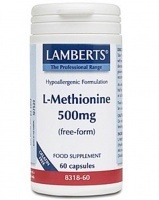 Contains a range of vitamins and minerals. 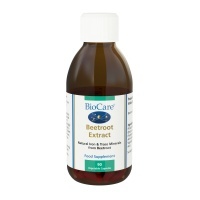 Beetroot Extract can be used as a gentle food-form multinutrient. BioCare HEP 194 is a combination health supplement aimed at helping the breakdown of fats in the liver. 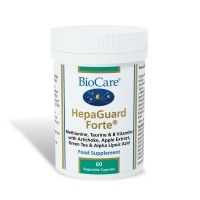 BioCare HepaGuard Forte is designed to support to the liver & contains liver supportive nutrients & Antioxidants. 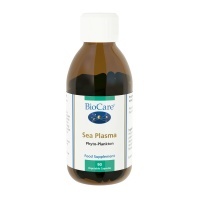 BioCare Spirulina (Formerly called Sea Plasma) - a highly nutritious food and an ideal adjunct during breastfeeding to support milk production. 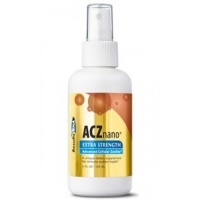 ACZ nano¨ Extra Strength provides the highest concentration of nanomized clinoptilolite zeolite per dose, resulting in far greater detoxification and result. Higher Nature Alka-Clear health supplement helps maintain the alkaline balance of the blood & tissues, & support the removal of waste products. Higher Nature Chlorella is a fresh water - a superfood because of its vitamin & nutrient content. Particularly useful for people whose diet is deficient in green vegetables or fruit. Higher Nature Olive Leaf Extract guarantees 500mg of D-Calcium Elenolate per capsule, the only form discovered to maintain its potency once absorbed. This powerful blend of amino acids, vitamins & minerals offers extra liver support for people who regularly drink alcohol, smoke or have taken recreational drugs. Higher Nature Special Dead Sea Soak is a relaxing & indulgent mineral bath from ancient seas with minerals & salt to help pull toxins out. Over 21 key minerals. Lamberts L-Ornithine is an Amino acid health supplement used to help maintain the health of the immune system and the liver. 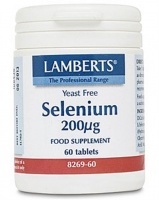 Lamberts Selenium 200mcg is an antioxidant designed to quench harmful free radicals from the body that can damage organs & tissues. NutraMedix Algas Heavy Metal - May help body to cleanse itself of heavy metals. NutraMedix Banderol - 30ml - Microbial Defence - used against Borrelia burgdorferi (the bacteria that causes Lyme disease). NutraMedix Mapalo Neuro Support - 30ml - Mapalo may be used to aid detoxification. 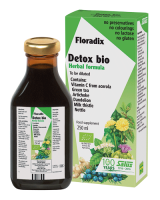 NutraMedix Sparga is a potent liquid extract of Asparagus root and is a sulphur detox agent. Are you tired much of the time? Do you get a foggy head, bloated tummy, less than good skin? Have you eaten too much stodge, chocolate, fatty foods or 'ready-made' meals? Perhaps you need a coffee or tea to get you going and keep you going. All of these suggest your body is crying out for a cleanse. Detoxification has been one of the most important aspects of healing since ancient times, and there are many ways to achieve it. The aim is always to eliminate some of the poisons that have been taken in (via poor food, pesticides, insecticides and other 'homocides', poor air, and so on). Below are three methods, and it's good to try all of them at some point. Check with your doctor first. Spend two days first of all eating just brown rice, steamed or baked and raw vegetables, and a little fruit. Drink 2 litres of clean water per day. Avoid all coffee, tea, soft drinks and alcohol. If you have been used to drinking plenty of coffee, you may well develop a headache as you suffer 'withdrawal symptoms'. This is a sign that your body is being cleansed. If you feel your system has been particularly toxic, you may wish to carry out this simple cleanse once per week for a month or so, before attempting anything more powerful. For the next 5 days, drastically reduce, or better still eliminate completely, coffee, tea, soft drinks, sugar and alcohol. Instead of meat, eat oily fish, like mackerel, herring, wild salmon, sardines, etc. Also eat almonds, cashew nuts, walnuts, pumpkin seeds, sunflower seeds and sesame seeds. Use linseeds liberally, accompanied by plenty of water. Try a Four Week Cleanse, using Bentonite Clay, Psyllium Husks and ColoClear Extra from Higher Nature. Apples contain the fibres cellulose (which binds with water and increase faecal bulk), and pectin (which is exceptionally detoxifying). Pectin also helps lower cholesterol, eliminates bile acids from the intestines, and chelates heavy metals such as aluminium, mercury, lead and cadmium and escorts them out of the body via the bowel. This cleanse lasts for two or three days (never more, except under your Doctor's supervision). Eat only apples, any variety, but organic if possible. You can have as many as you like, but chew them well and crunch up the seeds as well, as they contain valuable nutrients which help the cleansing. You might find it easier to put the whole apple and core in a food processor so that it breaks up the core for you. Chew the processed apple well, so that saliva with its enzymes gets incorporated into the apple. During these 2 or 3 days you are not eating anything other than apples, and the only drinks are clean water and herbal tea, sweetened with a little honey if desired. This is a fast-track cleanse and you will quite likely suffer a headache during some of this time. Make sure you're drinking enough water (1½ - 2 litres a day). If you know how to carry out an enema (see colon cleansing), this can be useful and will make you feel better. It's a good idea to purchase a large bag of epsom salts from the chemist, and use 2 cups of these salts in a warm bath. Soak for 20 minutes and rest afterwards for 15 minutes in a dark room, or have the bath just before bedtime.